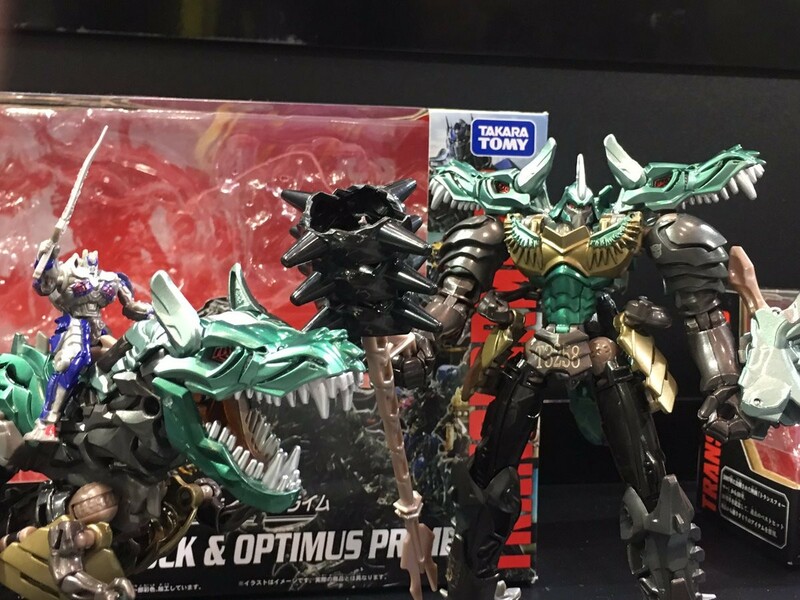 Thanks to a new image from Toys R Us Japan mobile website (courtesy of fellow Seibertronian primalxconvoy), we have word that TRU Japan is giving away free file folders featuring the image of Optimus Prime and the 3 headed dragon from Transformer: The Last Knight! 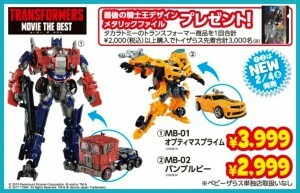 The file folders will be given away to the first 3000 people to spend over ¥2000 on Takara Tomy related Transformers products. 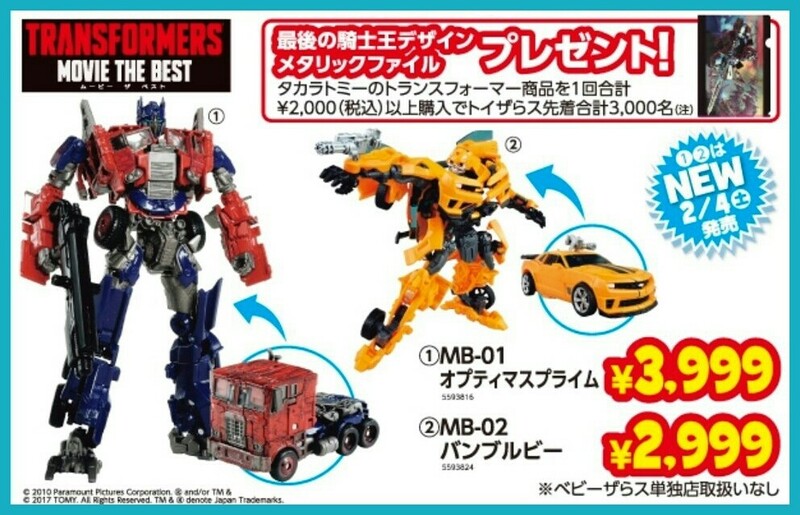 Movie the Best Optimus Prime and Bumblebee are both being released today and are priced at ¥3999 and ¥2999 respectively, so anyone purchasing those 2 figures will be available for the file folder. So head on out to the Japanese Toys R Us and get your file folder and your new Movie the Best figures! These are gorgeous with only Bumblebee looking a bit of a let down (great figure but really should have had more paint apps). 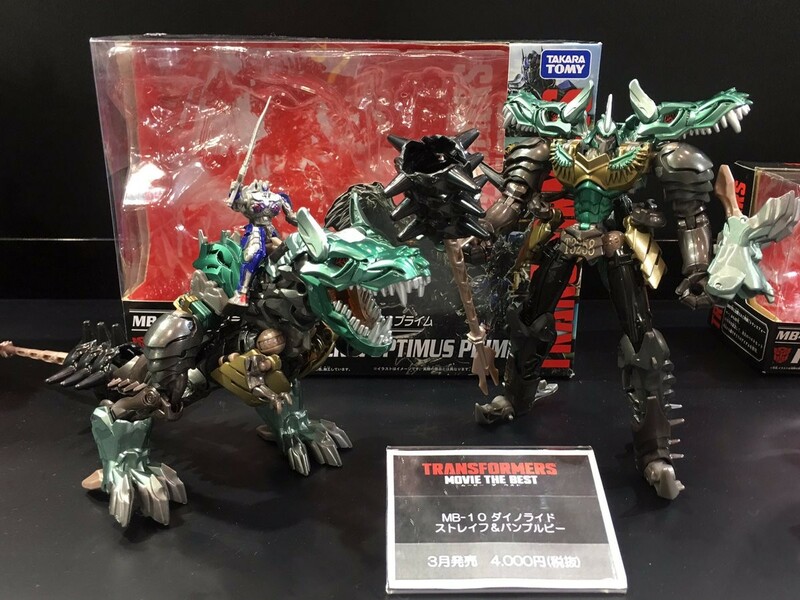 Never got that Megatron before but I'm very tempted by this shiny version. 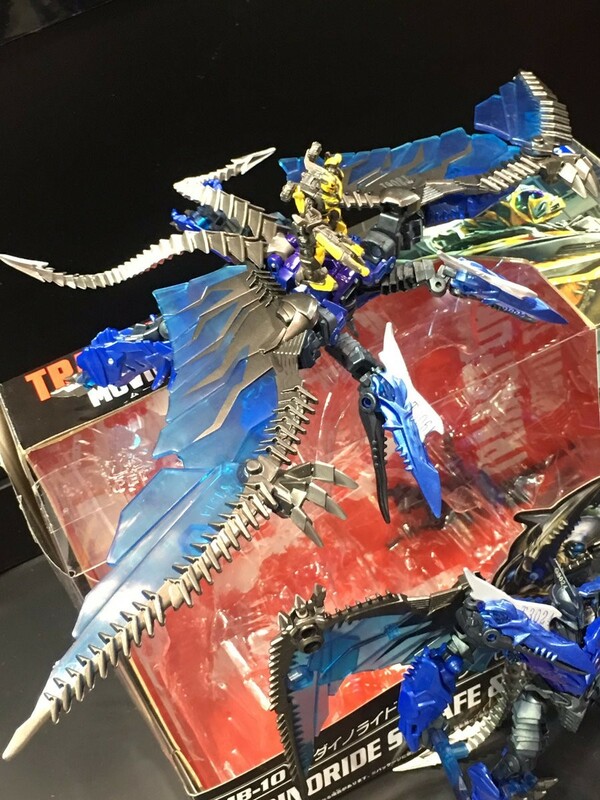 Thanks to a new flier received from Toys R Us Japan, we have word that TRU Japan is giving away free file folders featuring the image of Optimus Prime and the 3 headed dragon from Transformer: The Last Knight! The file folders will be given away to the first 3000 people to spend over ¥2000 on Takara Tomy related Transformers products. The screenshot you've posted is NOT from a flyer. It was originally taken from the Toys R Us Mobile website. The reason I know, beyond doubt, that it's mine, is because I edited the blue border around the picture. The original, which is also pictured at TFW2005, has part of another picture going OVER the top blue original border, so I removed the original border, and added my own. Please give credit to me and/or TFW2005, please. primalxconvoy wrote: The screenshot you've posted is NOT from a flyer. It was originally taken from the Toys R Us Mobile website. We did not claim we received it, but we apologise for the misunderstanding. 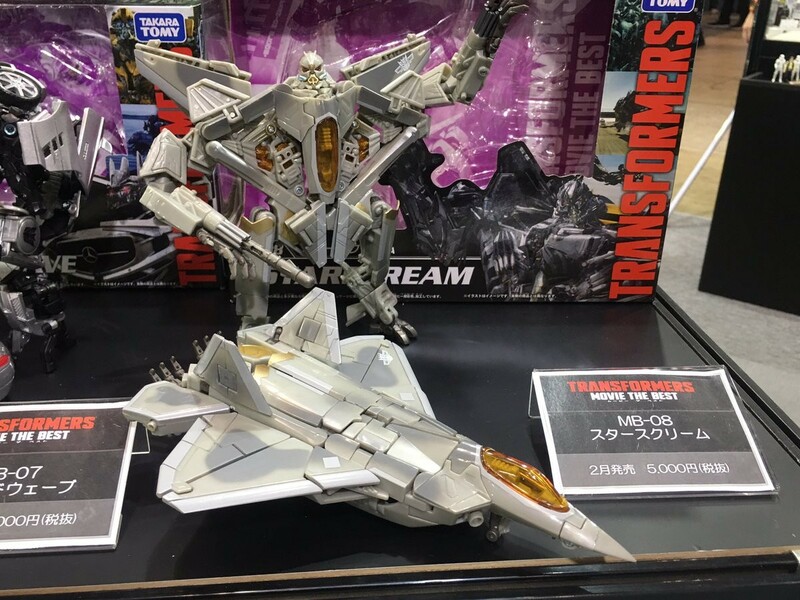 The image was actually not sourced from TFW but a social media group - which clearly used your image too. We have now updated the story, but would also like to remind you that we are happy to report on news that is submitted to us through a variety of channels, including PM and email! Thank you for your contributions, nonetheless. Thanks. I was going to submit here, but the submission form didn't have the option to attach an image. At TFW2005, they've got that option, so it is easier to submit news there, especially if it's dependant on images. william-james88 wrote: Alfes Blog has some nice in hand images of the first set of Movie the Best toys to be released. 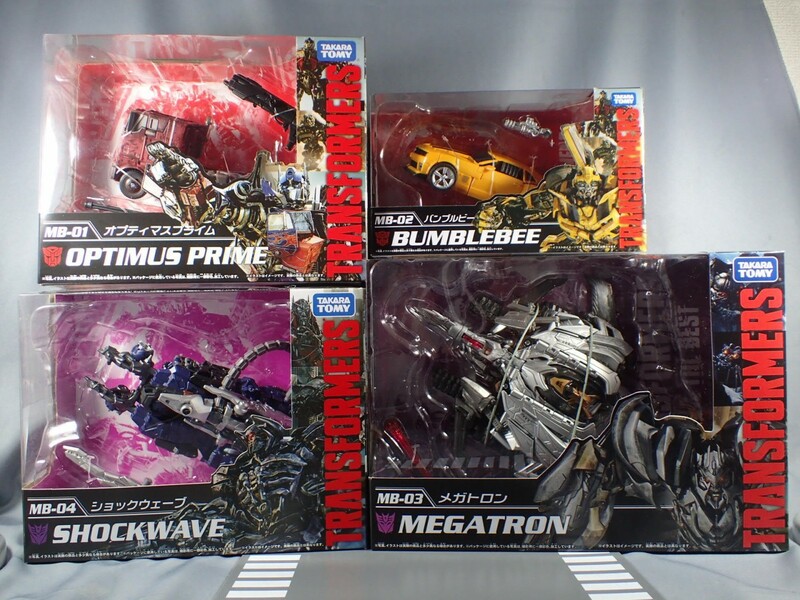 Earlier this week, MB 01- 04 which are Optimus, Megatron, Bumblebee and Shockwave, were released. You can see them below. Note how the cab for Otimus has deco on all sides, unlike some earlier in hand images. 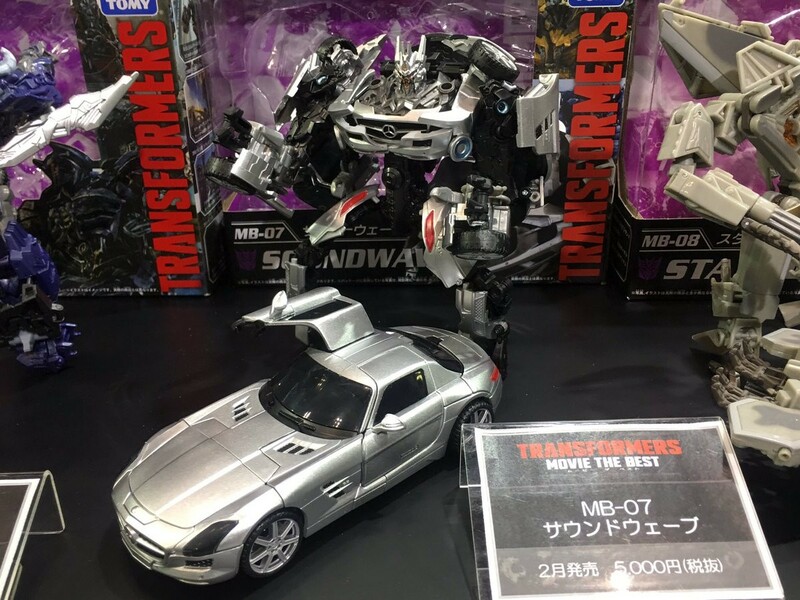 Also, unlike the others, the Megatron toy with this silver deco is actually a release that was planned back in 2009 under the ID of MR02. An image of what that deco was supposed to look like back in the day is added after the images for you to compare how much has changed since. These should be shipping out to those who ordered directly from Japan, let us know which are on their way to you! For those who haven't ordered these toys, let us know if these images convince you to get these! 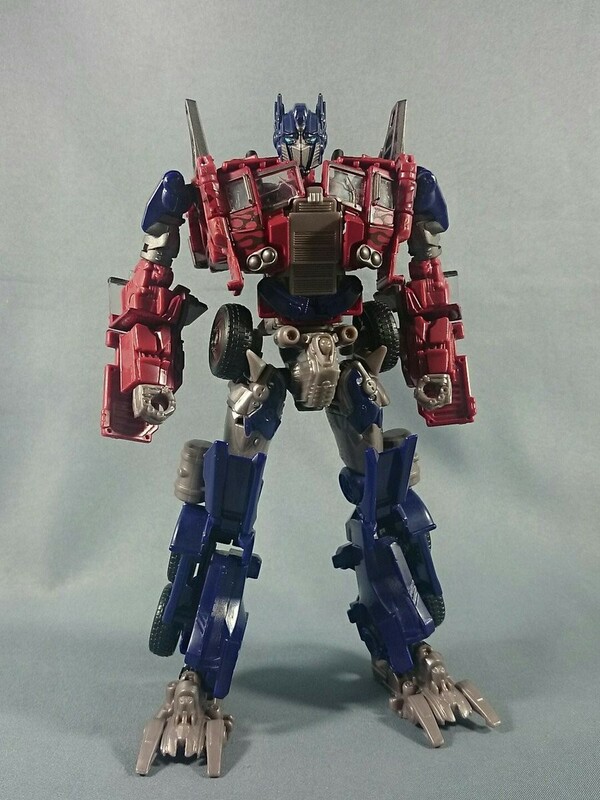 Prime and all his detailed glory! And sold out at amiami already. Good I pre ordered this. 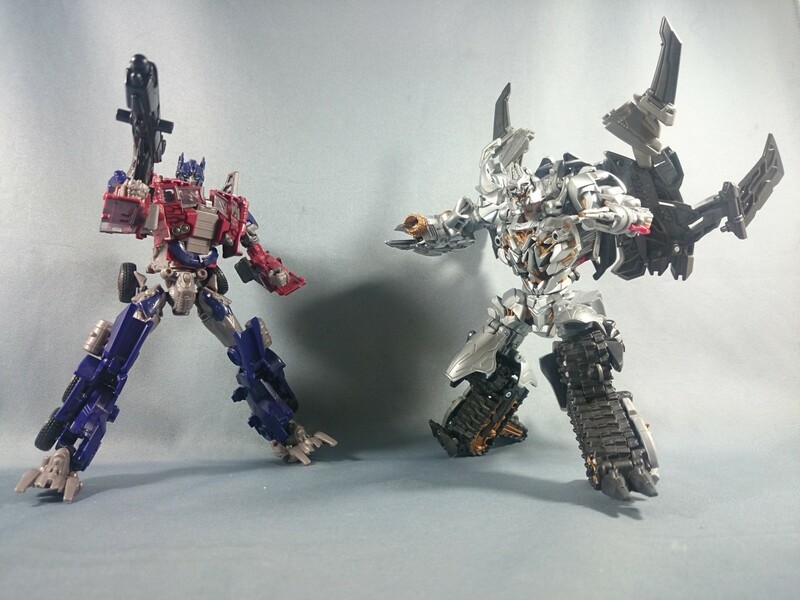 While we have seen in-hand images of the 10th Movie Anniversary figures from Takara Tomy Transformers, in their Movie The Best line, the Facebook page Planet Iacon has also shared (from a different source) some images comparing the new toys of Optimus Prime, Shockwave, Bumblebee, and Megatron to their original incarnation in previous live-action movie lines. Check them out mirrored below! Yep. As said before I'd like Prime, Megatron and Shockwave but Bee doesn't look worth it over the regular released version. 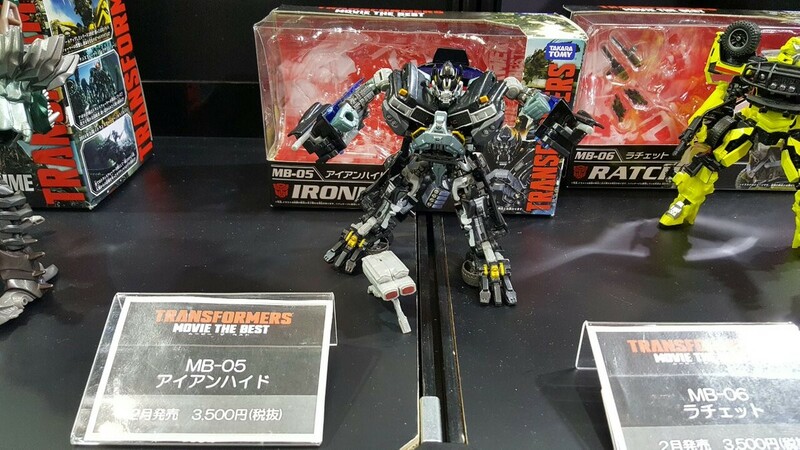 And that's Takara's Evasion Prime isn't it? 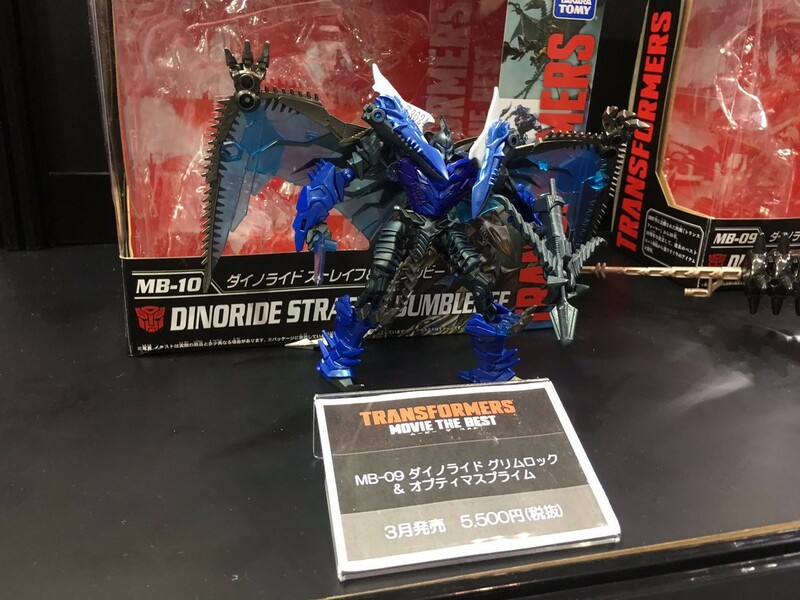 Cos Hasbro's looked like an inferior KO in comparison. 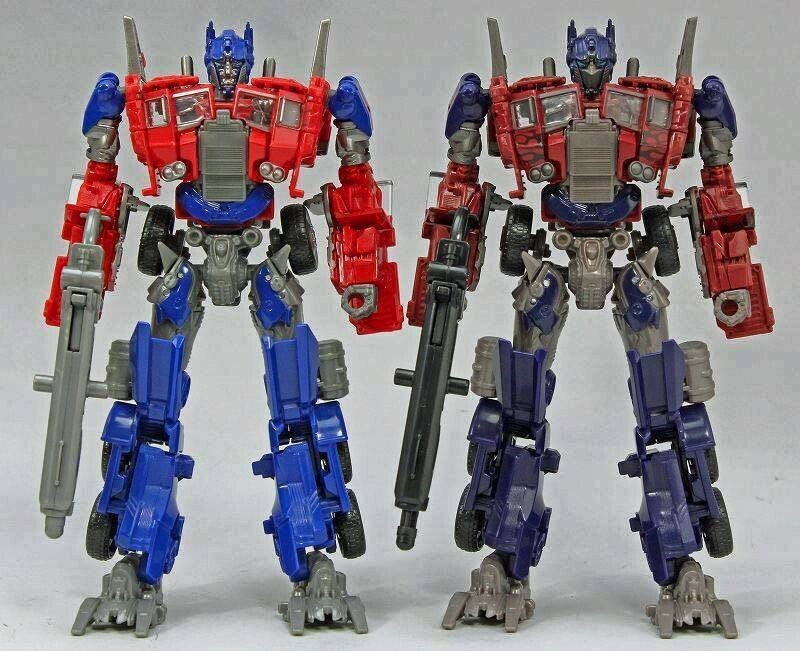 I like my Hasbro one after sprucing it up but yeah both of those shown there look better than Hasbro's version. Shock wave sure is tempting but that's because I buy all shockwaves. My shrine needs more offerings! 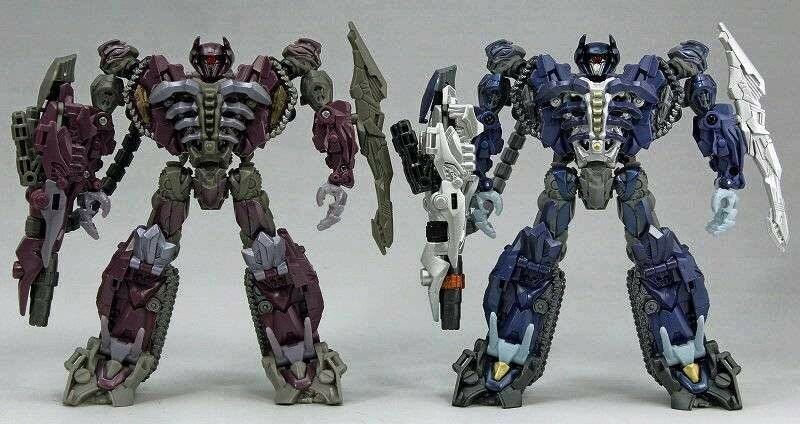 Megatron looks better (don't know what they were thinking with the green), but I like original Shockwave more. 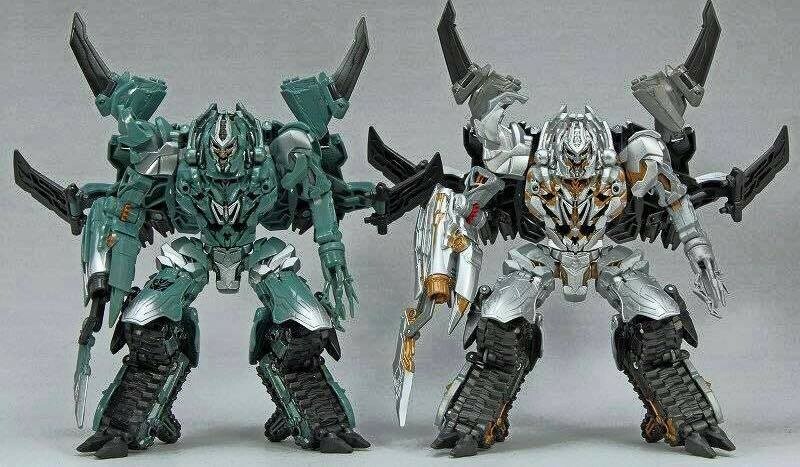 RiddlerJ wrote: Megatron looks better (don't know what they were thinking with the green), but I like original Shockwave more. It's assumed he had that color because he was under the ocean for a few years. I guarantee it came down to the designers getting the movie design, being told what his resurrection entailed and doing that deco. Personally I don't think it looks bad. Looks so alien I'm feeling it that's why I wanted it. Carnivius_Prime wrote: Yep. As said before I'd like Prime, Megatron and Shockwave but Bee doesn't look worth it over the regular released version. 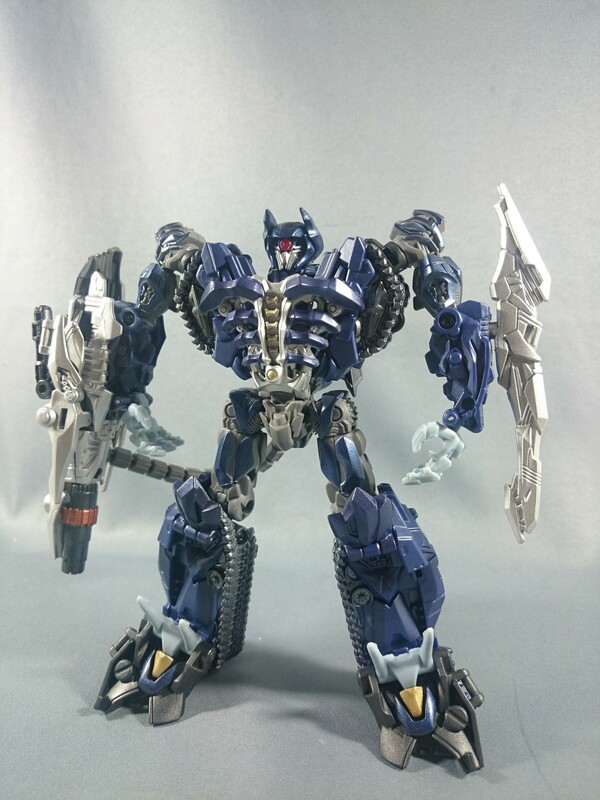 It's Takara's as you can tell by the silver hands and feet rather than the blue on the (perfectly fine, not at all KO looking, wtf?) Hasbro. 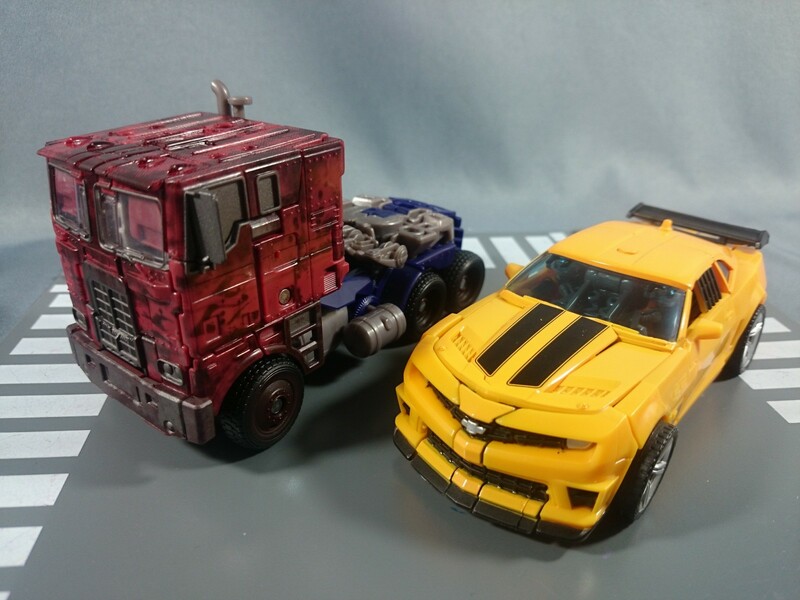 The mold's great but the lack of colours on the Hasbro compared to the Takara version really does make it look worse in my opinion. Especially on details like the 'fake' smokestacks in robot mode being bizarrely red on Hasbro's. Hasbro's Evasion Prime was a figure I sorta kinda liked when I bought it but really fell in love with it a month or so later once I'd added paint to it for accuracy and to break up some of the overdone blue and red (especially needed on the arms) and add some Reprolabels for the flames. I never bought Evasion Prime of any kind - due to the Hasbro distribution issues with them being TRU exclusives - I just never bothered. I think I'd prefer buying the KO and painting it up though. If I ever summon up the interest to buy one in the 1st place. I think I should buy one perhaps one of the reasons I didn't was because I was spoiled for choice - my preferred one would have been the Autobot "Platinum" Boxed set one I guess. I really don't have an excuse - I guess after I got the Leaderclass I didn't really feel the need - especially as I will eventually get the KBB version anyway. 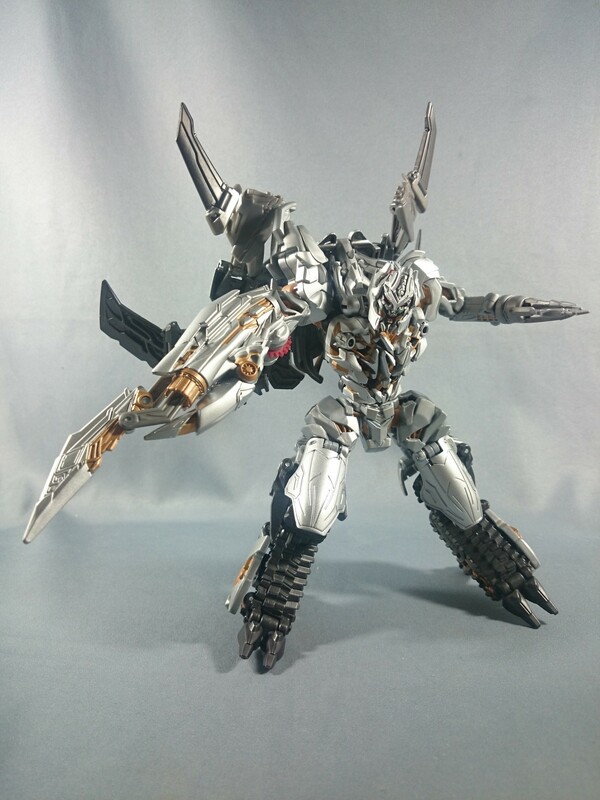 I do like that Silver Megatron though. I guess i'm a little concerned with all the talk of them breaking too. 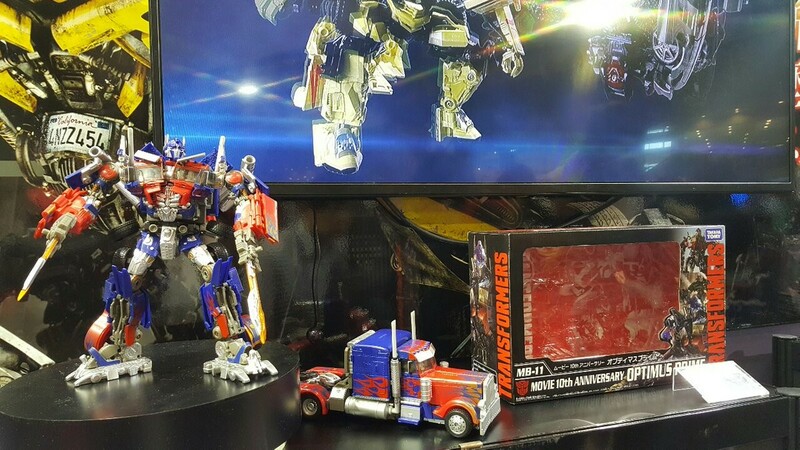 I know myself well enough to know that the only reason i'd be buying it was because it's Optimus. It's strange though to look at what interests me and what I like and what I don't like and I think it comes down to playability and function. 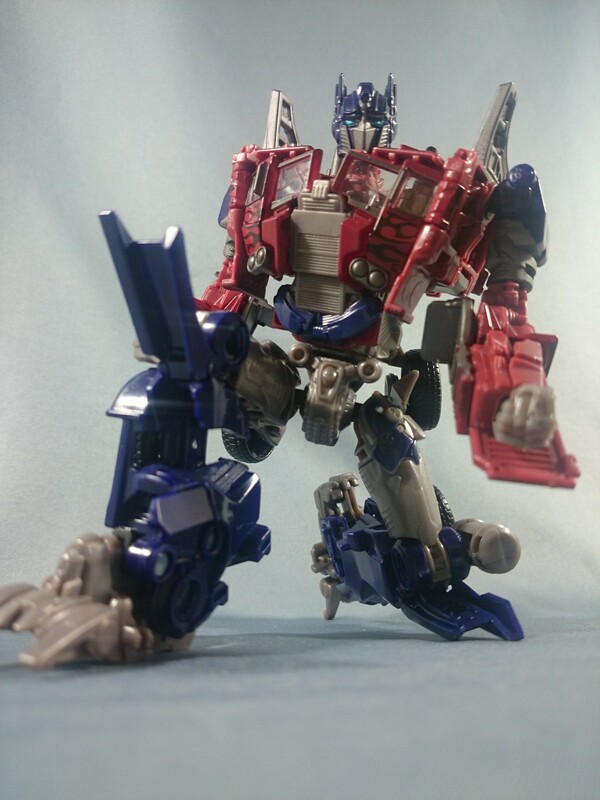 For example I actually like One-Step Changers as the quick Transformation is a benefit in an of itself to me. 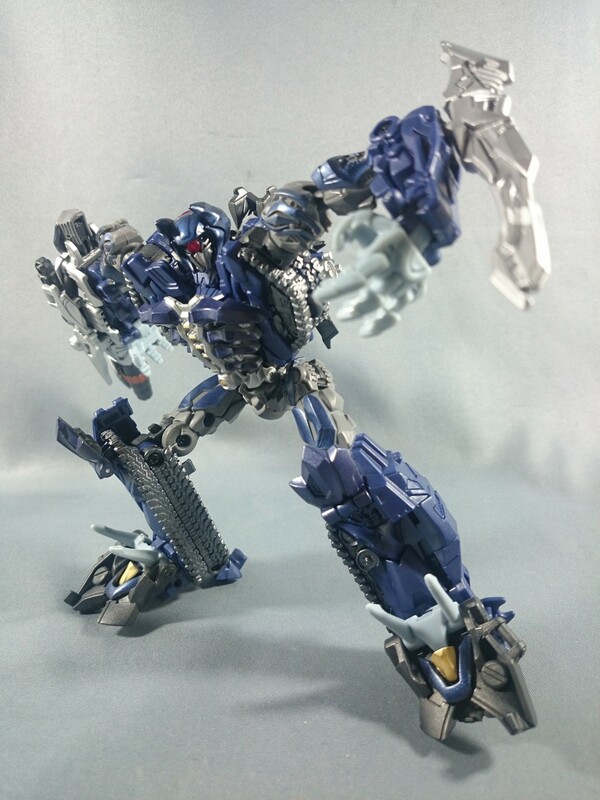 I find I don't like overly complex Transformations as they take to long and bleed out all the fun - but I'm prepared to put that to one side to buy a toy just for the robot mode in some cases. I think the Movie toys in AOE fall into some dead zone with my tastes they are to complex to be fun to play with and two simple & under decorated to be worth buying for the robot mode alone. 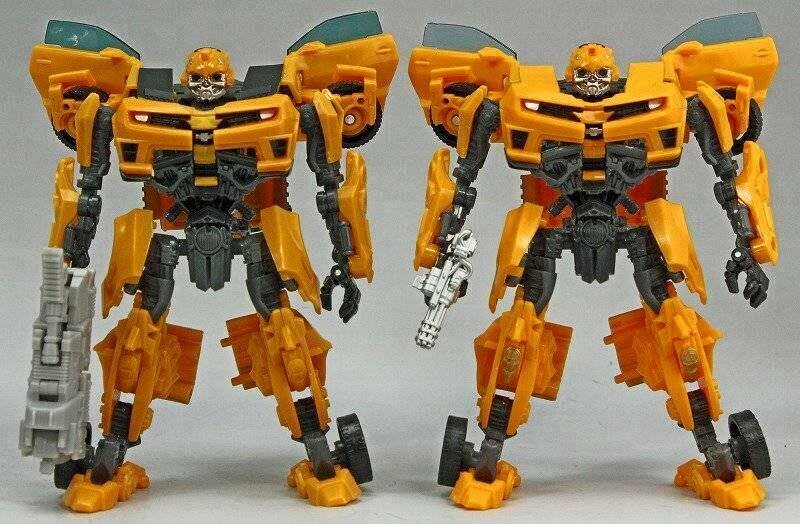 It's the Battle Blade Bumblebee problem - he's a fabulous robot but an atrocious 'Transformer' as he's just to much of pain to transform with everything getting in each others way all the time. That mechtech Bee is OK a bit flimsy but he's not that hard to transform (He actually feels a bit like RTS Jazz to me in some ways) but he's so plain looking and I don't think he's a huge amount of well "fun". Oh well people have their tastes I guess and when it comes to Movie toys - I'm blow a bit hot and cold on them. 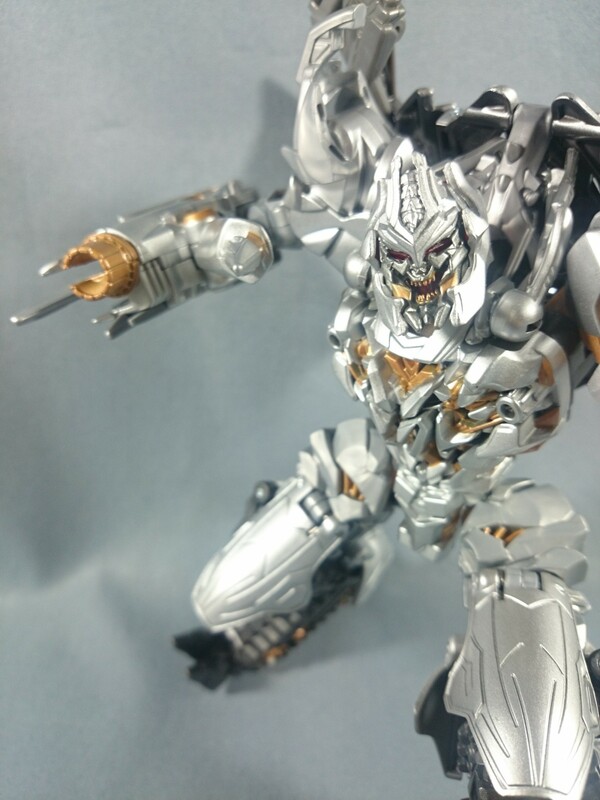 Megatron looks neato in that silver. Shockwave looks cool but I prefer the original deco. 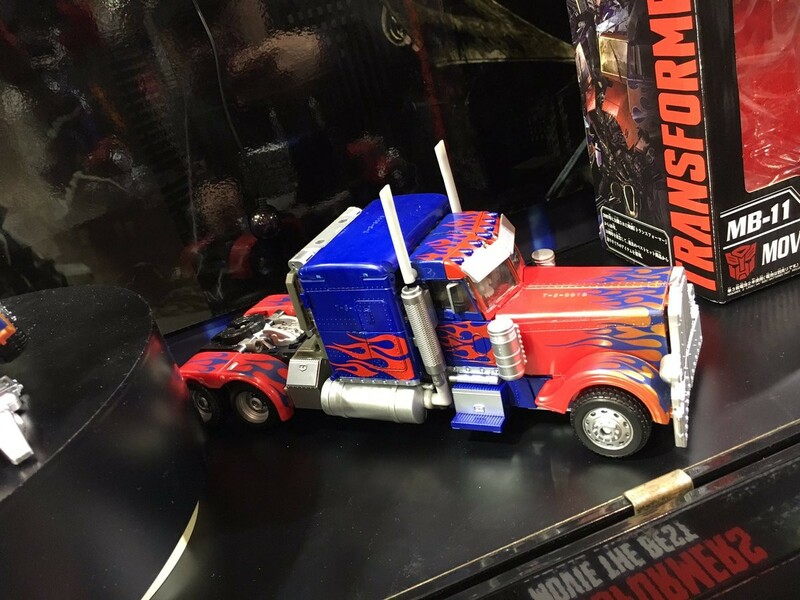 Optimus looks good for sure, but still suffers from that horrible grey plastic. 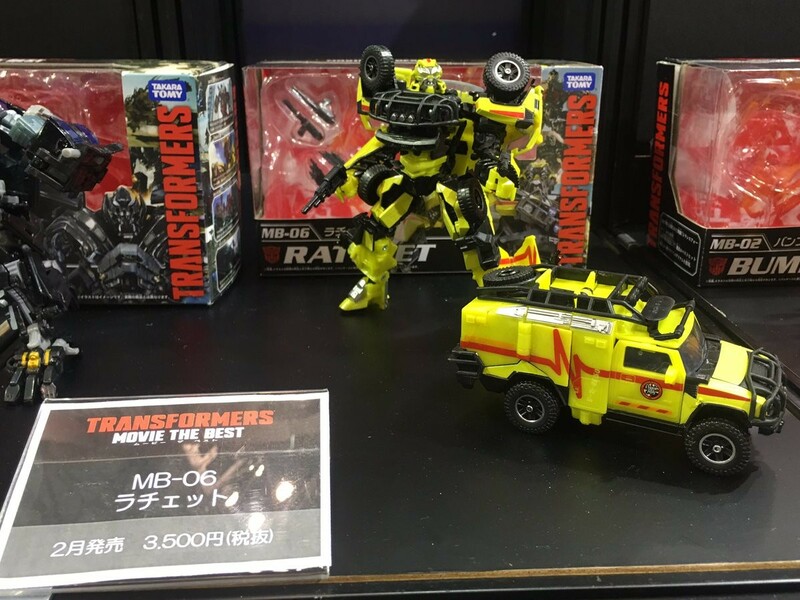 Bumblebee, meanwhile, is just the MechTech figure with the glorious chunky blaster replaced by a piddly little machine gun. 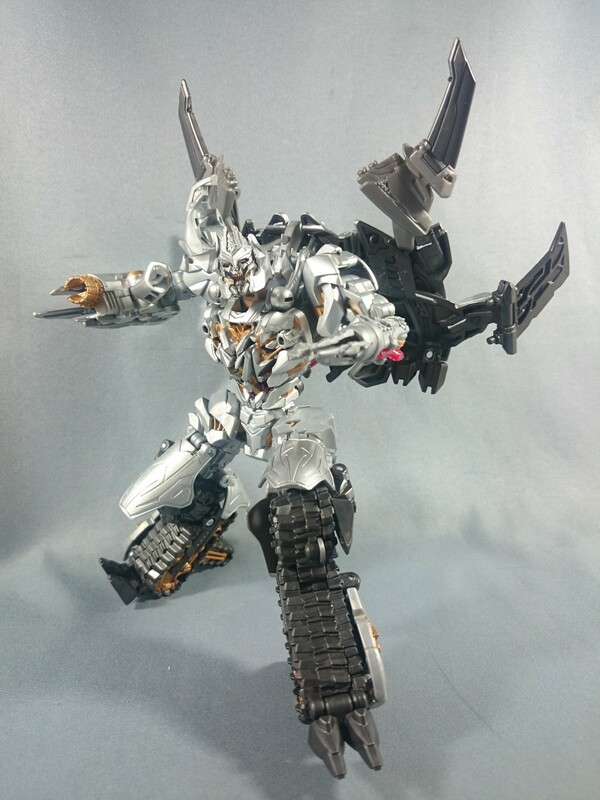 Black Hat wrote: Megatron looks neato in that silver. Shockwave looks cool but I prefer the original deco. 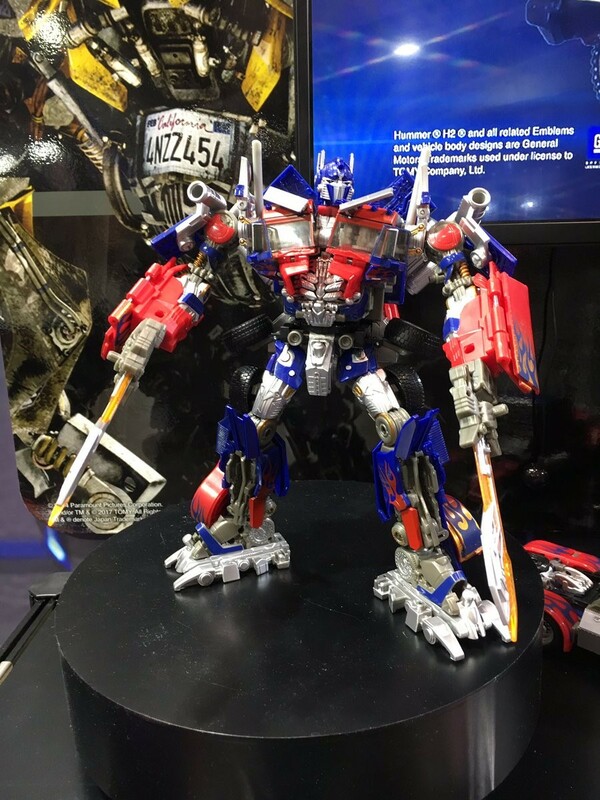 Optimus looks good for sure, but still suffers from that horrible grey plastic. 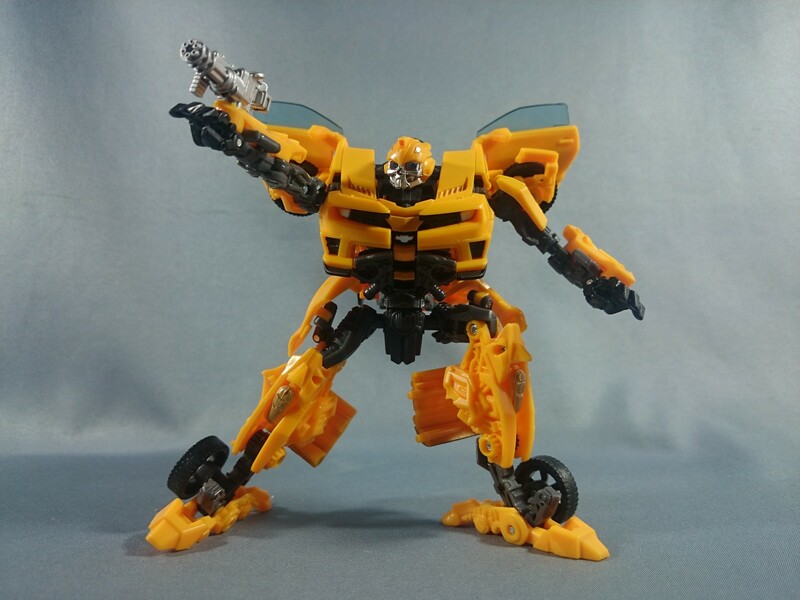 Bumblebee, meanwhile, is just the MechTech figure with the glorious chunky blaster replaced by a piddly little machine gun. I agree with every word. hence why the only one I bothered getting is Megatron. 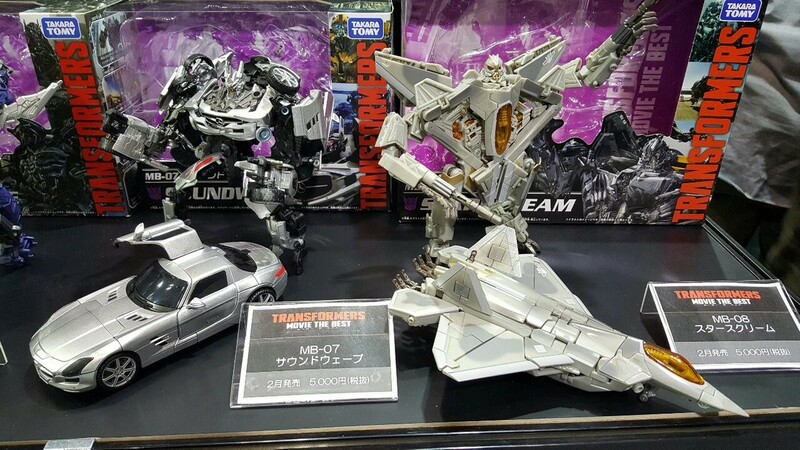 Wonderfest 2017 also had all the Movie the Best toys, that are yet to be released, on display. We see their boxes and final decos. 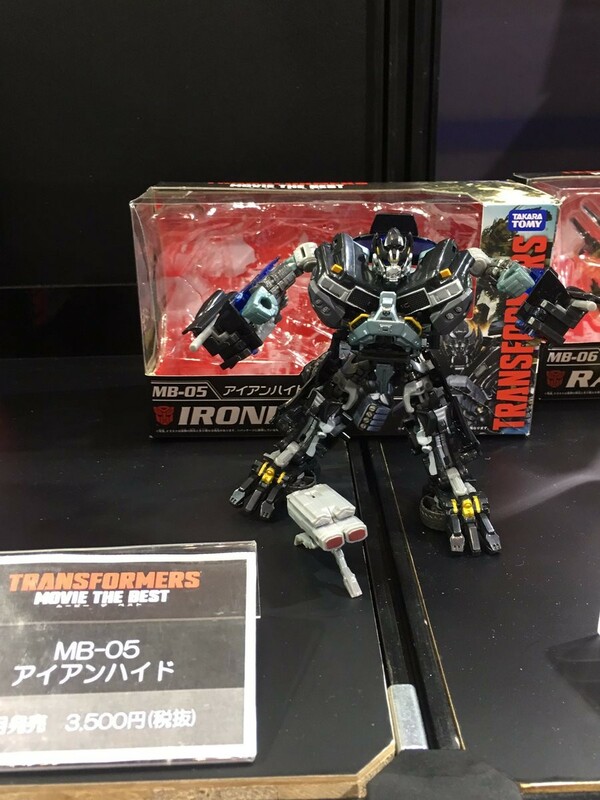 This is our best look yet at Ironhide, Ratchet, Strafe, Soundwave, Starscream and Grimlock. 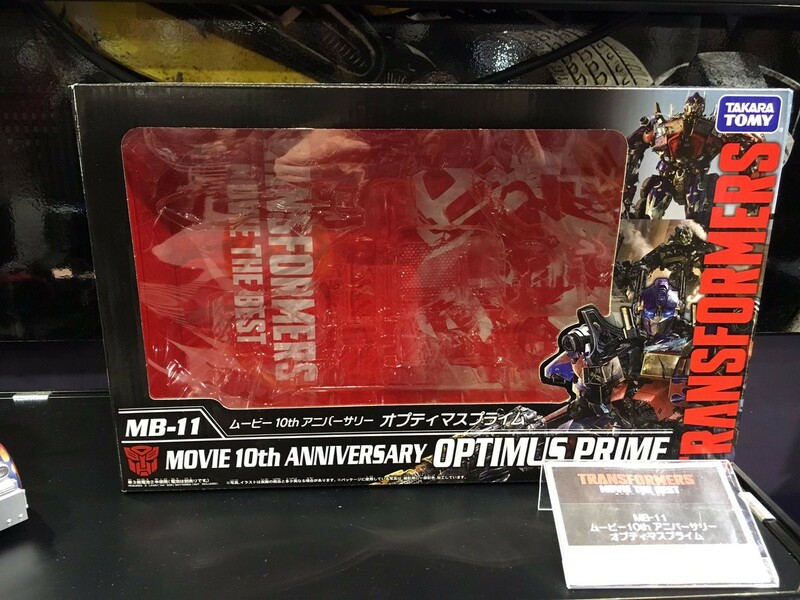 We also see MB11 Leader Optimus Prime, whose grey plastic seems to have more of a matte look rather than a silver finish. 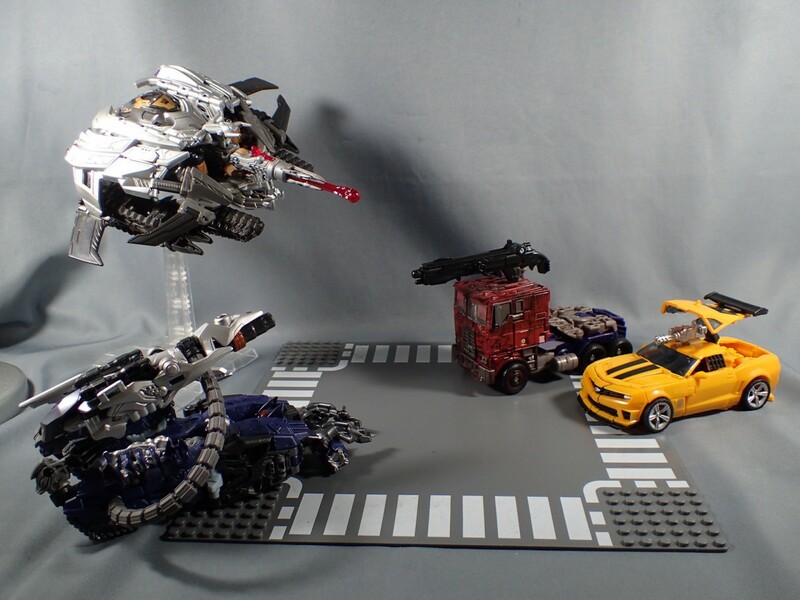 We also get a nice shot of Bumblebee riding Strafe and Optimus riding Grimlock. 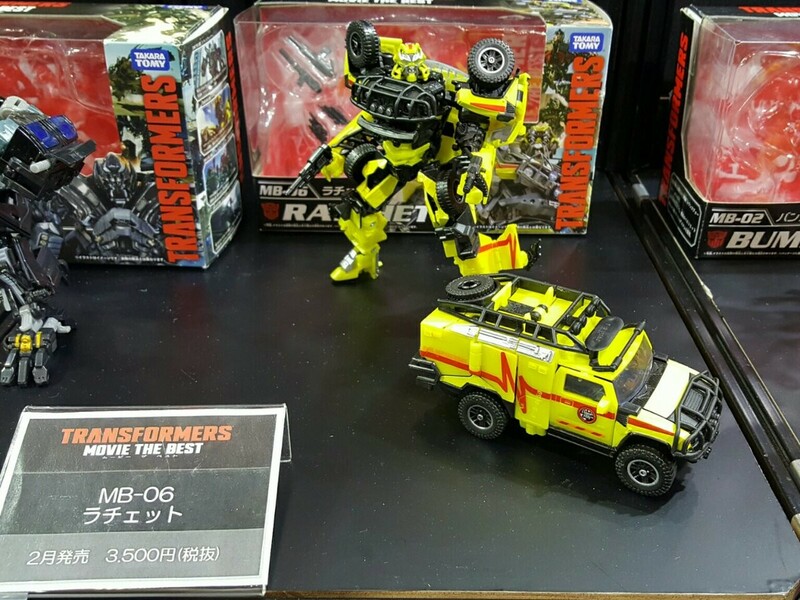 These are coming out at the end of this month with Optimus coming out in March. How so? Personally, I think they look pretty good. 4,384 pages were recently viewed by 772 unique visitors. This page was viewed 1 times on Thursday, April 18th 2019 3:43pm CDT. © 2019 Seibertron, Inc. DBA Seibertron.com. All Rights Reserved. Established June 2000. Seibertron.com is owned by Ryan Yzquierdo.